Star Micronics, headquartered in Japan, is one of the worldwide largest printer manufacturers. Star draws on decades of experience and has a first-class image in the branch. Their state-of the-art production sites are located mainly in China and Japan. In production alone, 2,000 employees guarantee high output and global supply of professional Star hardware. With their subsidiaries all over the world, Star is able to provide your customers with the highest level of expertise and hardware quality. Being an official distributor of Star POS printers and OEM print modules, Jarltech offers you innovative and favourably priced devices, which boast numerous unique properties to satisfy demanding customers. The company's success started early in its history of over 50 years, with the installation of peripheral devices at well-known businesses. 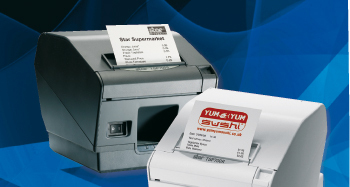 In Europe, Star focuses on POS printers, print modules and ticket systems. A very varied range of POS, thermal and dot matrix printers, as well as printheads and print modules are available to VARs. Special solutions, such as multimedia kiosks, give you the necessary flexibility to react to any requirement in the best manner. Of course, professional hardware for checkout and kiosk applications matters to the Japanese manufacturer; but the company also attaches great importance to technological innovation and highly flexible application and system integration. The futurePRNT technology extends the functionality of the devices, while various marketing and design tools realise interesting added benefits for users. Furthermore, the easy printer management system facilitates configuration. In addition to their extreme dependability, Star printer systems offer users a well thought-out concept, including easy installation and operation. With Star as a powerful partner at your side, you optimise development, production and service workflow of your customers. As an official distributor of Star products, Jarltech offers short delivery time as well as fast spare part and repair services for Star POS printers.